Core Fitness is a phenomenal, non-competitive workout center. 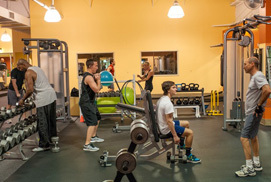 The staff and members are almost like family, which encourages all to come to workout. 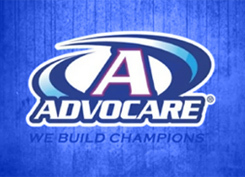 If you are looking to improve your health and lifestyle, I would encourage you to give it a try! Core Fitness is ready to help your office kick the donuts! Research shows that sedentary jobs and lifestyles can contribute to obesity and actually hinder productivity. By letting Core Fitness provide you with a corporate wellness program, you can help increase employee productivity and more. Offering discounted rates to your employees could decrease your healthcare costs, lower their absenteeism, and improve morale. What are you waiting for?! Let us design a program based around your company’s needs and desired level of participation. We work with you to create options that suit your situation. Contact us to learn more!